A preliminary text message after two balconies collapsed at an off-campus Trinity College party is shedding light on a possible cause. Both balconies crashed to the ground on Sept. 10 and the accident sent more than two dozen students to the hospital. An acting director for Hartford's licensing and inspections confirms he received a text message from an inspector who arrived at the Broad Street home minutes after the balconies collapsed. 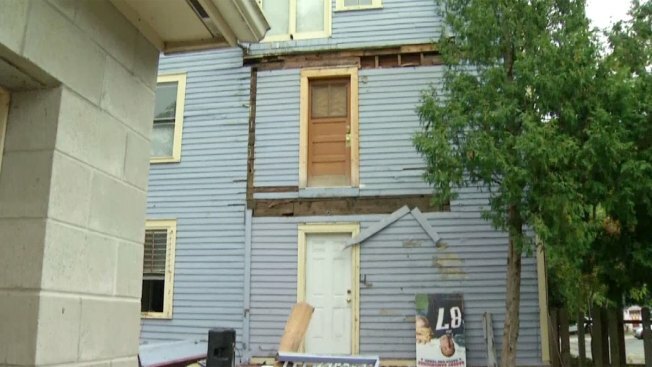 "Porch failure was (due) to no bolts were used (sic) to attach to house." City officials previously estimated there were five to ten students on each of the balconies. The city and college are both investigating.